Bill Dalby was born in Edmonton on May 5, 1928, and had fond memories of his Alberta childhood: running to school in the snow in moccasins, duck hunting with his father and brother, and poring over books in the local library. He was an exceptional student, interested in virtually everything, but in high school he fell in love with Physics and became the first in his family to attend university. In 1950, he graduated with First Class Honours in Physics from the University of Alberta. He went on to get his M.Sc. in Physics at UBC, after spending a summer at the National Research Council working in the Spectroscopy Group led by Gerhard Herzberg (Nobel laureate in Chemistry, 1971). In 1955, he completed his Ph.D. thesis, "The Infrared Spectrum of Water Vapor", at Ohio State University under the supervision of Harald H. Nielsen. He was then awarded an N.R.C. postdoctoral fellowship, which he held in the Herzberg Group in Ottawa from 1955-57. Bill had an outstanding career spanning a half-century. His first appointment was in 1957 at the DuPont Radiation Physics Laboratory in Wilmington, Delaware. 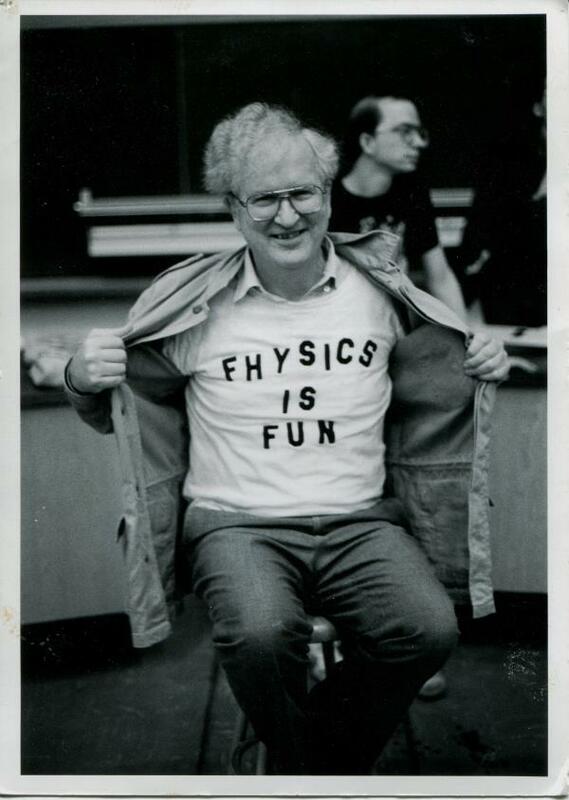 In 1961, he moved to the Physics Department at UBC, where he stayed until he retired in 1993. He spent two sabbaticals in France, as well as time at MIT and Oxford, and, in 2000, received an honorary doctorate from the Université Claude Bernard Lyon 1. In all, Bill published 44 peer-reviewed articles. 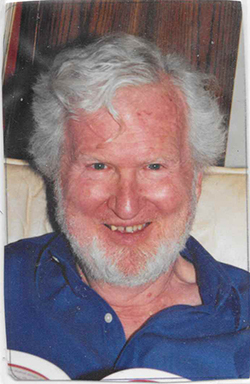 His first paper was published in 1951 with Alex E. Douglas, based on Bill's work as a summer student in Ottawa. His last was published in 2001, eight years after he gave up his Full Professorship upon retiring. The techniques he used in his work in Experimental Molecular Spectroscopy changed dramatically over his career. In his 1951 work with Alex Douglas, a 21-foot concave grating was used to observe the A-X spectrum of the nitrogen ion (N2+). This spectrum had been seen earlier in the aurora of the Earth, but had not been previously seen in the laboratory. Forty years later, in 1991, Bill's group studied a different vibrational band in this same A-X spectrum, this time using a tunable semiconductor infrared diode laser, a very different technique with much higher sensitivity and spectral resolution, reflecting the great changes in technology over the years. But physics was not his only love. Bill also adored kids, dogs, long hot baths, art, travel, food, all things French and Chinese, but most of all, Phyl, his beloved wife of 64 years, who passed away in 2016. He was endlessly curious about all things, had an uncanny nose for the truth and an ability to ask incredibly insightful questions. He read newspapers back to front, liked to walk into movies halfway through and try to figure out how they began, and regularly asked dinner guests how many radians of pie they wanted for dessert. He will be greatly missed by his sister (June), his daughters – Rebecca (Dave) and Laine (Parker), and grandchildren – Ben and Taylor.